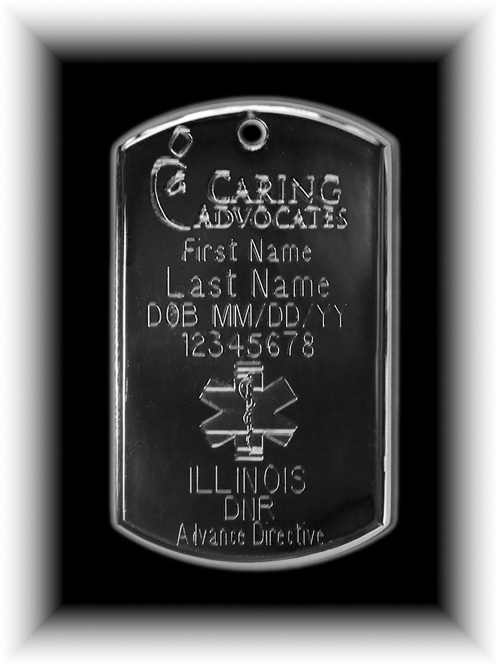 If you want an effective "DNR" order now, then you can order a medallion that lets all know you want NO attempt to resuscitate your heart and lungs but that you DO want to receive other treatment to keep you alive. 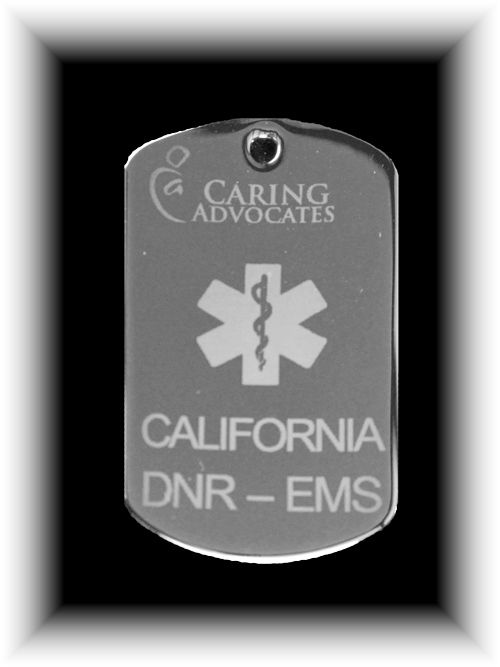 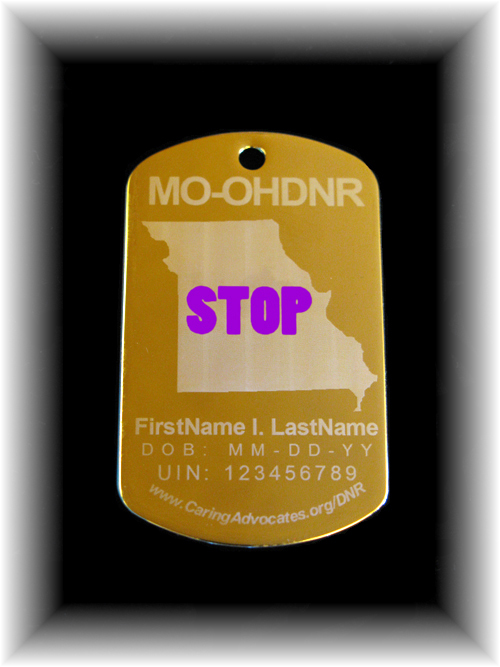 For this set of preferences, Caring Advocates as a State Approved Vendor offers the "DNR-Registry Medallion". 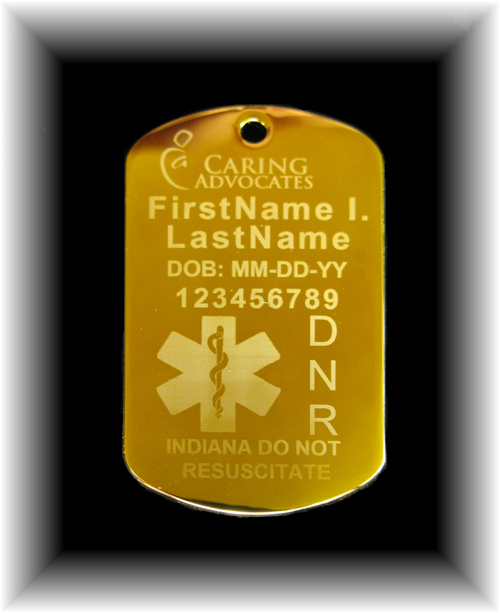 The information on how to treat you (other than DNAR) will be stored in an electronic registry so that Emergency Medical Service Personnel, hospital Emergency Department Physicians and other authorized people can immediately learn about the critical medical information you provided. 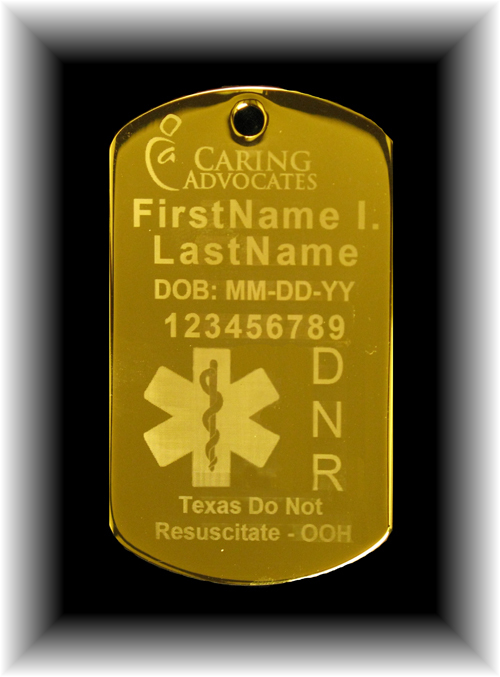 The 7 items below are EXAMPLES only. 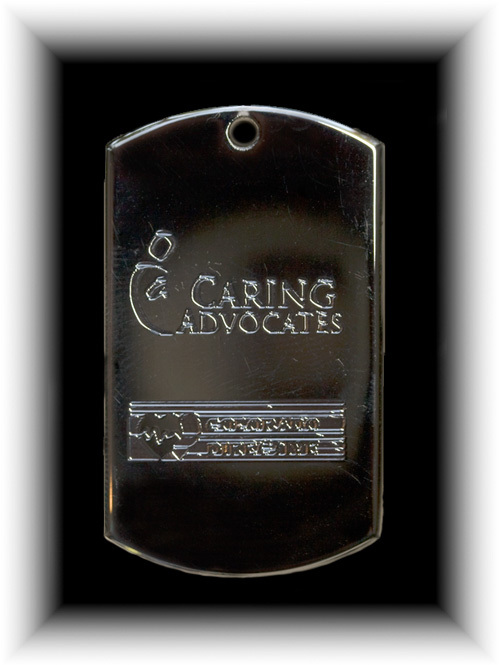 Caring Advocates can supply the appropriate medallion to most other states.